Earlier this week, I returned from an invigorating vacation in Ireland (along with a few other stops on the way). It was an amazing experience, and I have enough stories to make up several months’ worth of blog posts. But I won’t do that to my readers. I’ll try to keep the stories to a minimum, unless, of course, I can make them relate to the field of serving individuals with intellectual and developmental disabilities (I/DD). And lo and behold, here’s one! One of the surprising simple pleasures of my trip was the amount of time I spent listening to BBC Radio. As you may know, BBC Radio has several stations dedicated to a variety of interests, including of course news and music. I mainly listened to the news broadcasts. I was especially impressed by their in-depth exploration of a news topic – often they would spend ½ hour or more discussing a single issue or news item – quite a change from most of the American media landscape. And of course, hearing the news delivered with a British accent made it seem all the more intelligent and highbrow (I confess, however, that I couldn’t make heads or tails of the BBC Gaelic station, though I enjoyed trying). One of the long, complex stories I listened to was one about the Paralympic Games, which were held in Rio immediately following the Olympic Games. The piece covered many topics related to the Paralympics, but one trend ran throughout the entire story: most Paralympic athletes believe the time is coming when there won’t be a separate Paralympic games. 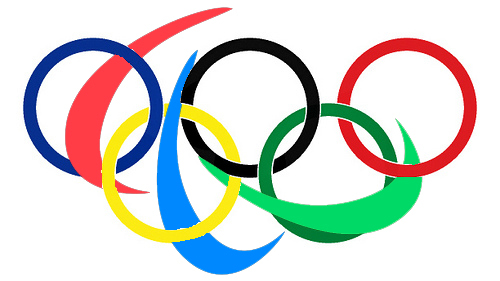 Instead, the athletes argue, Paralympic events will eventually simply become part of the Olympic Games. I fully believe that this will happen, and I am fully in support of it happening sooner rather than later. So much of what we do at Imagine! is an attempt to move away from a mentality of separation. We don’t believe that just because a person has an I/DD that they should be relegated to separate status when it comes to basics like education, healthcare, transportation, or housing. We want to eliminate the barriers that prevent those we serve from fully participating in their communities. A single Olympic Games incorporating Paralympic events would be a powerful symbolic step forward in world-wide recognition that people of all abilities can, and do, contribute mightily to the creation of healthy and vibrant communities. It would contribute to more acceptance of the idea that athletes, and in fact all human beings, are best defined by their achievements rather than by what others may perceive as a disability. The closer we get to this ideal of inclusivity, the closer we get to where communities embrace all abilities and offer everyone the opportunity to contribute, no matter what the setting, the better off we will all be.